No matter what the sport is, no one really likes the referees do they? When a referee is having a good game, they are going unnoticed, and no one has to think about them. However, if a referee is having a bad game, they stand out from the crowd. This means that you never really recall the good performances from the refereeing community but you always remember the bad ones. With this in mind, is it any wonder that a lot of people wince when they hear officials being discussed? However, if you don’t have officials and referees, you don’t have a game, which is why they will be a vital component of the Euroleague Final Four taking place in Madrid. The focus will hopefully fall on the top players and coaches but without the officials, there would be no games to talk about and no big players to be impressed by. Seven of the top rated refs from Euroleague Basketball have been selected and the seven officials will hail from seven separate countries. There is plenty of experience with these officials as give of the seven were present in Milan last season for the 2014 Euroleague Final Four. There is also the fact that all 7 of the officials have officiated at least 2 Final Fours. This doesn’t mean that the officials will make every call correctly, but it does mean that they understand the importance of the Final Four and they will hopefully know what to expect from the crowd and players. The most experienced of these officials is the Serbian Belosevic, who has been involved with seven Final Fours over the years. Lottermoser from Germany is officiating at his fifth Final Four in a row while the Ukraine’s Ryzhyk is present for his fifth Final Four event. Sasa Pukl and Christos Christodoulou were both involved with the final in last season’s event, the overtime game where Maccabi Electra Tel Aviv shocked Real Madrid. This is the fourth Final Four for these two referees and it is also the fourth for Olegs Latislevs. Daniel Hierrezuelo from Spain is the least experienced of the four officials and he will be at his third event, so even he can call on a great experience for this tournament. Hopefully there will not be too much post-match discussion falling on these professionals, as we only want to talk about great basketball and exciting play. However, there is no doubt that refereeing errors or right calls are part and parcel of big basketball tournaments and over the course of the Final Four weekend, it is likely that some call will come under close scrutiny. 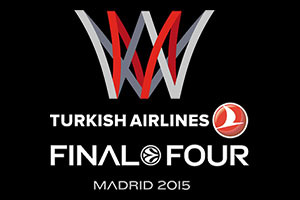 These are the men who could tip the balance in the 2015 Euroleague Final Four.